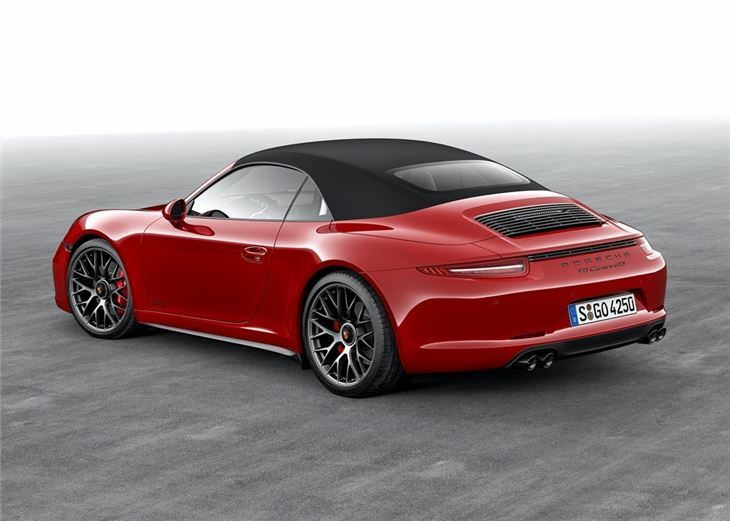 The Porsche 911 Carrera 4 GTS Cabriolet is designed to provide that ubiquitous soft-top compromise between supercar rivalling performance and everyday usability. This means it sits between the monstrous Turbo S and the comfortable but still potent Carrera 4S. 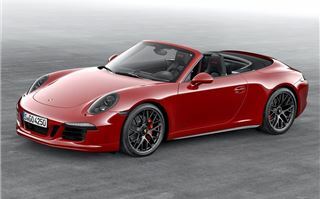 The GTS does get some notable enhancements over the 4S, with smoked xenon headlights, black 20-inch alloy wheels and bulbous, flared rear wheel arches fused to a rear-mounted flat-six engine producing 430PS. 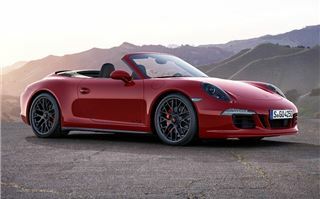 As a result the GTS Cabriolet will cover 0-62mph in 4.6 seconds before galloping on to a top speed of 189mph. On paper GTS has just 30PS more than the Carrera 4S, which means it sits 130PS short of the brutally quick Turbo S. However, at low speeds - in town, for example - the GTS feels identical to the 4S, with a comfortable ride, light steering and excellent heat-proofing. As a result, the engine doesn't heat up the cabin and transform its driver into a sweaty mess in heavy traffic. 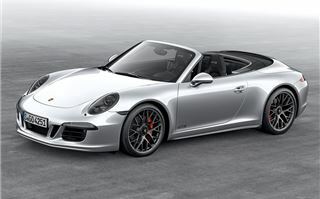 Power is fed to all-four wheels through a seven-speed manual gearbox, although a seven-speed automatic PDK gearbox is available as an option. 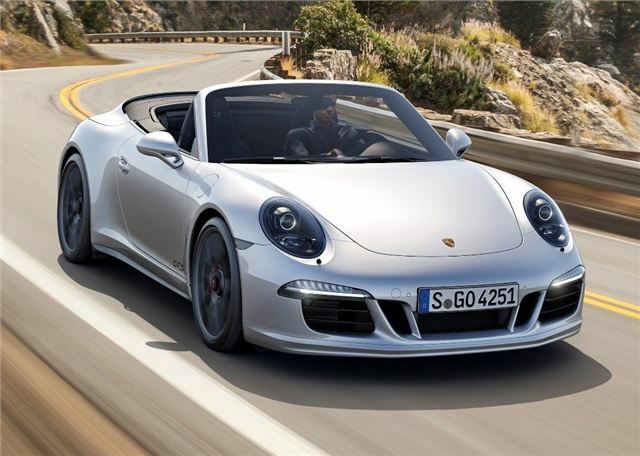 In addition to saving your left arm from work, the PDK will also cut the 0-62mph dash to 4.2 seconds and improve economy slightly from a claimed 28.2mpg to 30.7mpg. 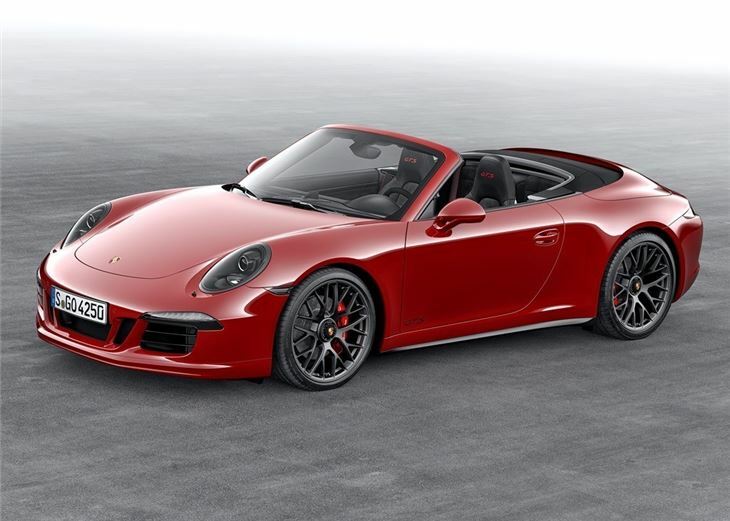 As a daily driver, the GTS feels pretty much like any other 911. However, the extra horsepower becomes glaringly obvious at speed, especially above 5750pm, with 440Nm of torque rocketing the GTS along with outstanding Germanic efficacy. On paper the GTS is only 0.1 seconds faster than the 4S, but in reality the GTS feels a lot quicker, with better high-gear torque and a notably sharper throttle response. The GTS also corners beautifully, with its wider track giving better grip and traction in even the tightest of bends. 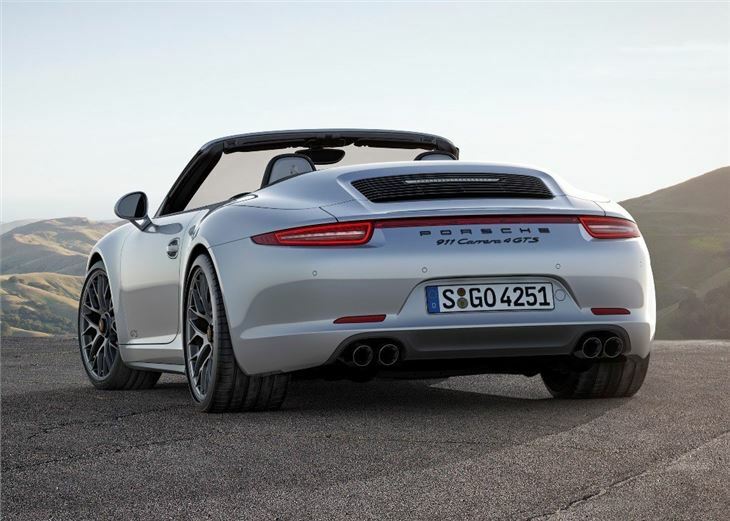 Poor road surfaces and adverse cambers do little to tempt the 911 off its intended course, with the four-wheel drive system locking the car down, enabling the driver to get onto the power earlier, without the risk of the rear-end kicking out in protest. 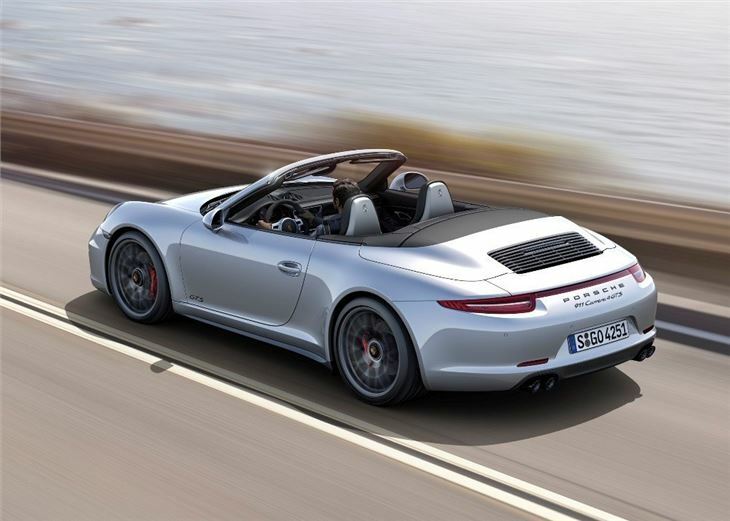 The Carrera 4 GTS Cabriolet is at its best with the PDK. We know purists will disagree, but we cannot find any fault with the dual-clutch transmission. It's smooth, seamless and well matched for the high-revving flat-six. The gearbox is also excellent at low-speeds, with good anticipation and intelligent gear changes - something that cannot be said for many of the 911's rivals. 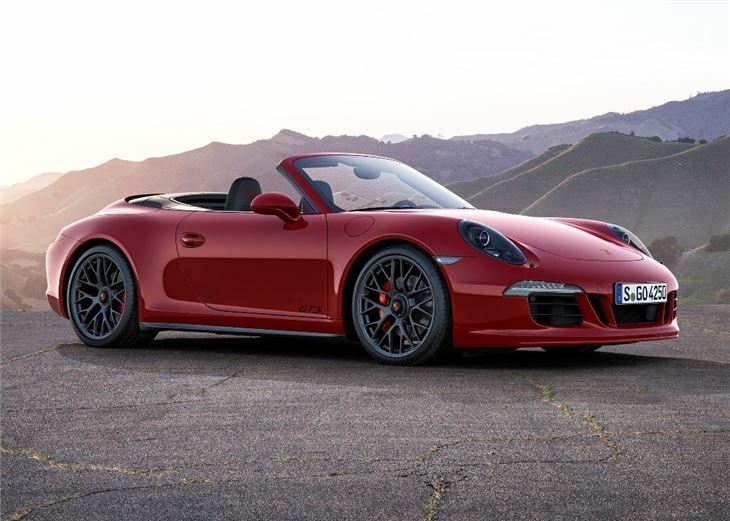 The GTS does have one or two minor issues, with crosswinds still proving a problem for the aerodynamic package. 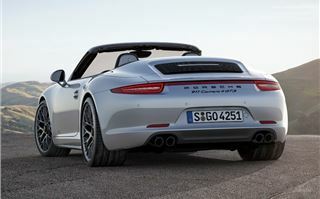 As a result the Porsche still wobbles - just a little - when cruising past HGVs or crossing open plains, which can unnerve the driver a bit when rattling along at high speed. 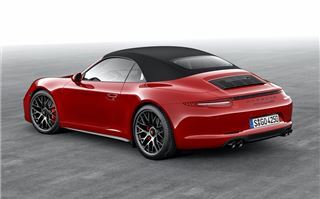 However, the 911's shape is faultless for the cabriolet set-up, with minimal wind and noise buffeting, making it a comfortable and pleasurable convertible to drive and ride in. The interior of the GTS is typical of all 911s, with lots high quality materials and a luxury, soft touch finish. Admittedly, it is button heavy, especially in the centre stack, but you quickly work out which buttons are useful and which are not. The driver’s view is dominated by the five instrument cluster dials, which display all of the car’s major functions, including trip and navigation. A seven-inch touchscreen is fitted as standard in the centre of the dashboard, with simple controls for audio, navigation and in-car settings. A pair of sports seats are standard, while adaptive sports seats with electric adjustment can be added for £1900. Given the choice, we'd choose the latter, which are supportive for the back and upper legs. Indeed we took our test car to Le Mans and found the 911 to be comfortable for the six hour journey, without the usual cramps or back pains that are normally associated with high performance cars. The GTS does get a rear set of seats, but they're not much use for adults and offer limited head and leg room. They serve as a perfect place to store luggage or a set of golf clubs though, while the 125-litre boot compartment in the front will easily take a weekend bag or cabin suitcase.